Solid surface thermoforming technologies allow for a myriad of complex forms to be created such as a topographic map. The linchpin to creating extreme contours is 5 axis CNC machining. 3D CAD software such as SolidWorks ® can be utilized to model practically any surface texture. Designers are continuing to push the boundaries with innovative surfaces that enhance interior architectural space. 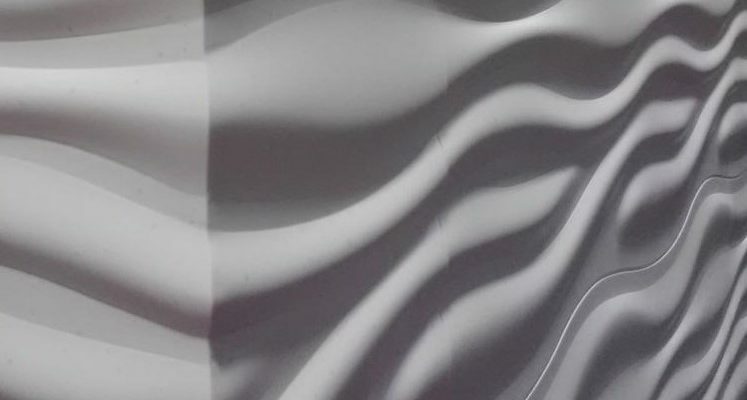 Many times design professionals submit drawings for bid to General Contractors without specifying an appropriate wall cladding product in the architectural specification. Designers run the risk of installing contoured vertical wall surfaces made from molded gypsum plaster or thin plastic. The costs required for maintenance of these ineffective wall cladding systems required an entire new approach. In response, we focused our business around thermoforming from the beginning. ASST has created a truly “niche” business, catering to advanced fabrication solutions for commercial construction. 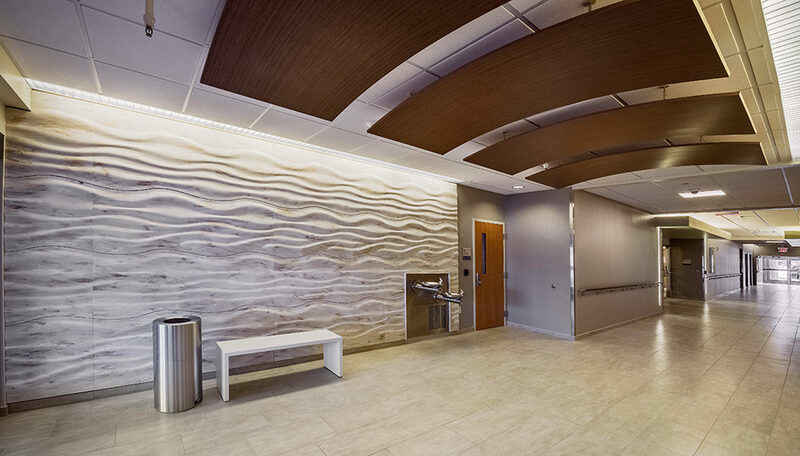 We created SCULPTCOR ® textured wall cladding to provide a durable solution unlike anything on the market today. 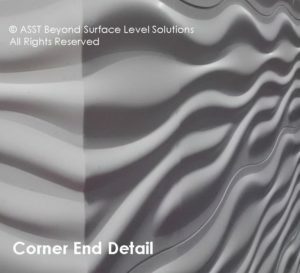 Manufactured with 100% solid surface acrylic, this is an anti-bacterial wall cladding that is made to last. ASST’s proprietary mounting system allows for field adjustment and individual panel removal for maintenance. It is ASST’s legacy to continue assisting design professionals with thermoforming project challenges other fabricators avoid. Be sure to contact us with your next solid surface project! First impressions always count! 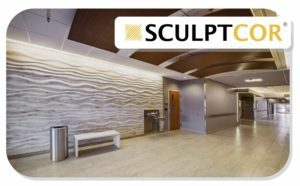 Be sure to call us for your next SCULPTCOR project! Whatever you need, ASST can build it to your exact specifications, in a safe manner, and to the quality standards you expect. Contact us now online or call us at 717-630-1251. Solid surface is more traditionally utilized for countertops and interior vertical applications. In Europe and in Asia however, solid surface exterior wall panels and fixtures have been steadily gaining acceptance. Today, General Contractors and Architects in the United States are just beginning to discover the advantages of using solid surface for exterior applications. With any new architectural application, questions of durability become a concern. Concerns regarding lightfastness and thermal expansion require knowledgeable answers. Many fabrication shops in the United States have never used solid surface for exterior projects. Fabrication knowledge and experience are rare in this new “exterior territory” for solid surface. To resolve these concerns, we have positioned our business to ASsiST customers with the technical challenges of an exterior project. Our depth of experience with exterior site furniture as well as exterior wall panels is invaluable as we work through the details to make your project happen. Our innovative team of estimators, planners and project managers collaborate and deliver project results in a way few competitors can.